Mathew Elliott has worked with Gary for many years and is an excellent Instructor. He has completed Level 3 of the GEGAS Training Course. 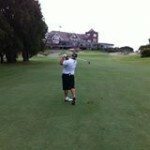 Mathew is the Teaching Professional at Cottesloe Golf Club. 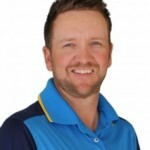 Tony has been the club professional for since 1997 at Mosman Park in WA, holding a AAA PGA Professional rating.Tony has played golf since he was 11 years old and has devoted much of his life to trying to become the best player he could be. Tony has made at least one trip per year to Gary’s Golf Academy at The Glades on the Gold Coast. Tony is now an accredited Level 2 Instructor with the Gary Edwin Golf Academy and teaches the Right Sided Swing in Perth.